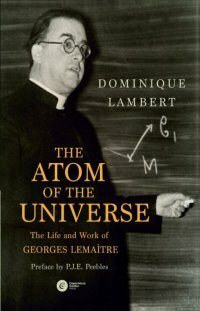 This book, written by professor Dominique Lambert, member of the chair of the Bioethics Committee of the FIAMC, takes us from the early childhood to the last days of George Lemaître, the man behind the theory of the primeval atom, now better known as Big Bang theory. But who was George Lemaître? A clergyman, a genius astronomer, an audacious cosmologist, a computer enthusiast ahead of his time, a professor with his head in the clouds, a bon vivant mathematician and gourmand? • Physician-assisted suicide and euthanasia: Physicians and other health care workers are increasingly being asked to provide assistance in suicide or euthanasia to people experiencing mental illness and existential and spiritual distress. • Promoting resilience in individuals and families who face adversity, human limitations and suffering: Mental illnesses and addictions are not well understood or discussed in many religions, while religious perspectives on wellness and human flourishing are seldom taken seriously in mental health care and promotion. Increasingly, individuals and families lack resources to be resilient in facing adversity, human limitations, and suffering. This has devastating effects on individuals, particularly young adults, and families and often leads to negative societal and inter-generational effects. Keynote Presenters: David A. Jones and Neil Weir, Warren Kinghorn, Alexandre A. Martins, Andrew Sodergren, Daniel P. Sulmasy, Paulina Taboada, Bernadette Tobin, Michael Vertin, Bill and Lindsay Watson, Jos Welie. An introduction to human trafficking for the healthcare community. Led by Colleen Scanlon, RN, JD, Catholic Health Initiatives; Roy Ahn, MPH, ScD, Massachusetts General Hospital and Wendy Macias Konstantopoulos, MD, MPH, Massachusetts General Hospital. 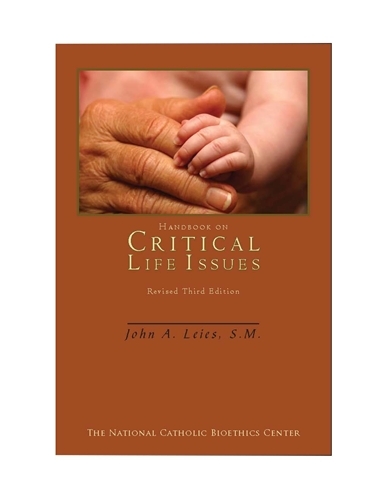 The (American) National Catholic Bioethics Center’s popular classroom text, ‘Handbook on Critical Life Issues’, appears in a revised third edition with updates on nutrition and hydration, the persistent vegetative state, stem cell research, euthanasia, important court rulings, and many other topics critical to today’s health care profession. 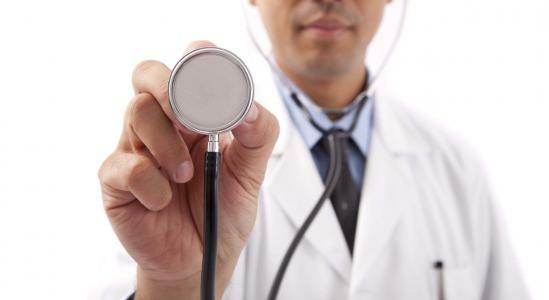 The phenomenal advancements of modern medicine has undoubtedly led to the enhancement of many lives. Pope Francis, however, has warned that the achievements of science and of medicine can only contribute to the improvement of human life “to the extent that they are not distanced from the ethical root of these disciplines”. Recognising this, an organisation has been set up to support Catholic doctors in Ireland grappling with contentious moral and ethical issues in the workplace.